Julie Dawkins Family: Friday's Finds! 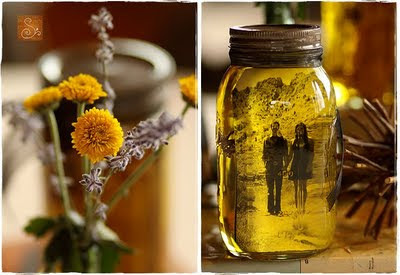 Vintage Photo Jars: (1) Photo, dried flowers, and vegetable oil. Find the instructions here. She made her own shoes...find out how here. This is probably way to early to be posting ideas for Christmas...but I couldn't resist and apparently neither can Hobby Lobby (Christamas is everywhere already). 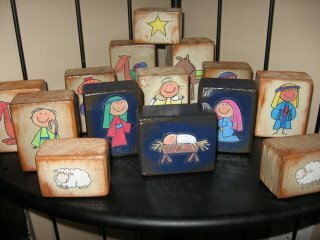 These blocks will be in our house this year. 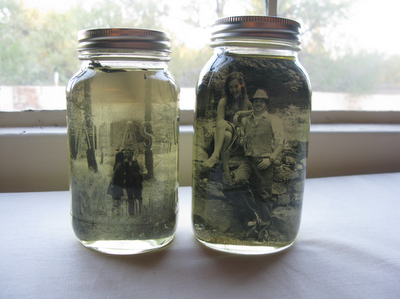 What a fun toy and teaching tool for the little one. These stickers came from here but I bet if you researched online you could find coloring book pages to cut out and mod podge to the blocks.